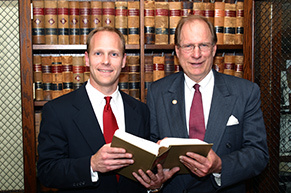 The Richmond, Virginia personal injury lawyers of Collier & Collier, P.C. will take the right action to make sure you receive all of the compensation to which you are entitled. You may be entitled to payment for medical costs, property damage, lost wages, cost of rehabilitation, permanent injuries, physical pain and emotional suffering. $300,000 for a man who had surgery on his thumb as a result of being rear ended by a tractor trailer. Case settled via mediation. Call the Personal Injury Attorneys of Collier & Collier, P.C. If you are an injury victim and you believe you have a case, call the attorneys at Collier & Collier today at 804-364-5200 or toll free at 1-877-825-0543. Most initial consultations are free of charge or obligation. Home and hospital visits are available. SETTLEMENTS AND VERDICTS IN ALL CASES DEPEND ON VARIOUS FACTORS AND CIRCUMSTANCES WHICH ARE UNIQUE TO EACH CASE. THEREFORE, PAST RESULTS IN CASES ARE NOT A GUARANTEE OR PREDICTION OF SIMILAR RESULTS IN FUTURE CASES WHICH THE COLLIER AND COLLIER LAW FIRM AND ITS LAWYERS MAY UNDERTAKE.